Vintage markets are so fun to wander around and discover not only antiques but also handmade goods with a rustic feel, upcycled and re-purposed goods. Great finds for your home and great for the environment! There are some seriously amazing vintage markets out there and we got to chat with 4 in B.C and Alberta who never fail to draw in a good crowd and put on a great market. What are your tips for pricing vintage & upcycled items? 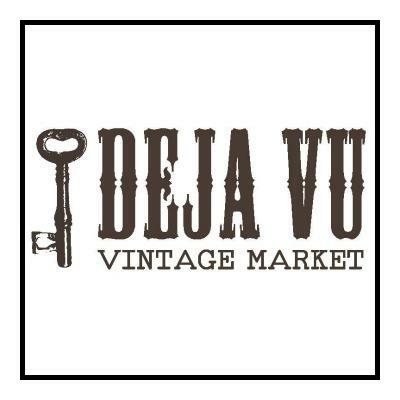 Deja Vu Vintage Market: Pay yourself! There’s a lot of time and expense involved in finding items and this should be taken into consideration when calculating prices. 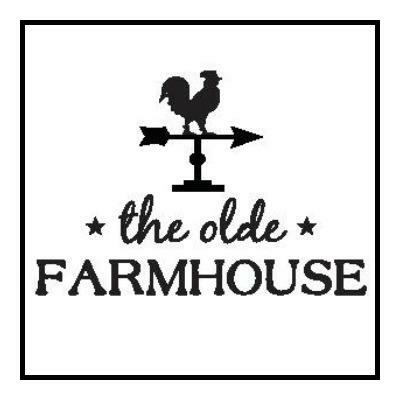 The Olde Farmhouse Vintage Market: There are a few things to consider when pricing your items for a market. First, do some research. Take a look on the internet or at similar events & stores for items that you are wanting to price. Compare what you had in mind, with that of what is out there for the shoppers already. Also, you must factor in how much you paid for an item, and what your costs were to purchase the item. You don’t want to under price an item, nor do you want to be priced too high. I always price my items with room to barter. Market shoppers love a deal, especially when they are buying multiple items from you. “Rounding down” often helps close the sale, so if you are going to be flexible on your price, make sure you factor that in when pricing your items. Make sure you price everything! On market day, shoppers like to be able to see a price on an item. The day can also be very busy and if someone asks you “how much”, you can get distracted and say the wrong amount. If there is a shopper lingering over an item, and I really want to make the sale, I will always tell them that I am open to offers or I have room to move on it. Chatting with fellow vendors and comparing prices is also another great way to determine if you have items priced correctly. It’s fun to help each other out and to compare and share stories about how we found our treasures. The Alberta Dames Vintage Shindig: OOH, great question! During market time we LOVE to price a little lower, customers are coming from far and wide and its so much more exciting when they can go home with a car packed to the roof with vintage goodies. By the time the market comes we already have so much inventory that our booths are overflowing and we usually sell it all that day. So its really a win-win for both the consumer and the seller. Vintage with Flair: As a vendor, each gives added value to their products as a relationship begins between designer, creator, curator and the customer. Many appreciate hearing details of product history to the now purchased finished product. In pricing it is recommended to keep in mind what the market will bear, ie. what are similar price points in the marketplace. Creating incentives through email and social media discounts, and show specials are a few other suggestions. An actual formula does not always apply as cost and time vary per piece. We believe in honoring the amount of time hunting, hauling, cleaning, tweaking, hauling again and displaying, and the price placed on each piece!! How can vendors set their space apart from other vendors? Deja Vu Vintage Market: Originality is the key…there are so many websites and social media sites you can visit for inspiration. You want to be the vendor that everyone remembers! 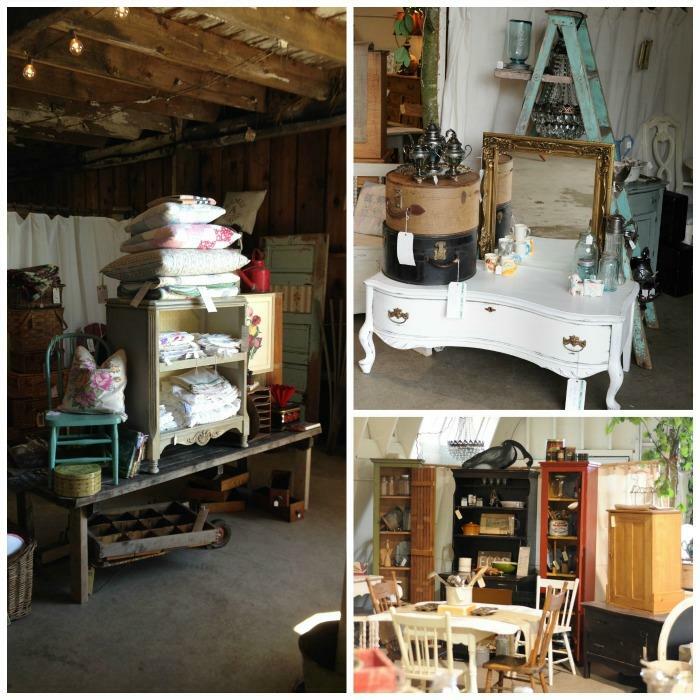 The Olde Farmhouse Vintage Market: Creating your own shop for the day can be so much fun…and a lot of hard work too!! 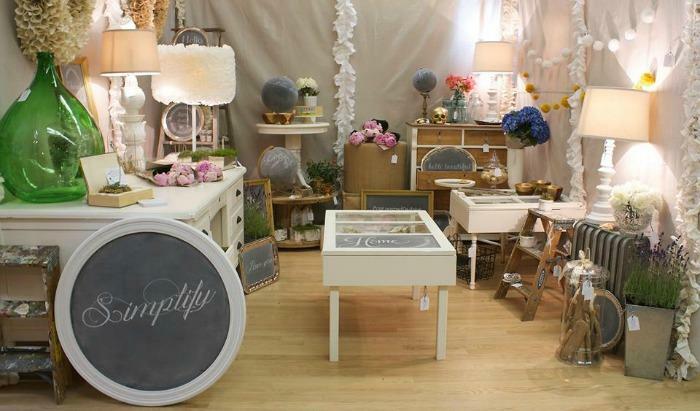 Having a clearly defined space makes shopping that much easier for the customer. Using props to set boundaries for your space is very helpful. Old door dividers, fabric hung on framework, shelving and furniture are all great items to use when setting up your space. Having a sign displaying your company name also helps people know who you are. Have fun with creating a unique shop, one that defines who you are and what kinds of items you sell. The Alberta Dames Vintage Shindig: PERSONALITY! The people who go to our market are already excited to be there, It’s so important to connect with them and feed off each-other’s energy. Tell people your story, the story of your pieces, who you are and what you do that’s special. People want to experience your passion! Plus a little attention to detail never hurt anyone! Vintage with Flair: Creating a WOW factor, or a focal point, is what sets booths apart; there are 7 seconds from when a customer steps in a booth or has a visual of a booth, to hook them in. Think outside the box, display is everything. Use Pinterest, magazines, books, and visit other events to glean ideas. There may be 10 vendors selling purple dodads, but be the friendliest one !!!! Which components make up a great booth? 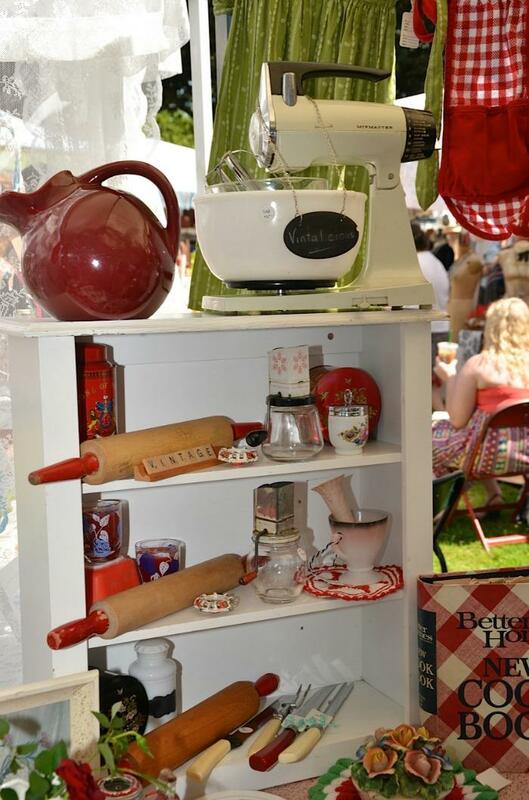 Deja Vu Vintage Market: A great booth is one that engages the customer. Having a good range of prices and inventory is also a key ingredient. Keep it interesting and make sure when they visit they don’t want to leave! The Olde Farmhouse Vintage Market: I think the most important factor in setting up a great booth is traffic flow! Imagine your space filled with shoppers…is there an easy way for them to move about? Is it a one way in and one way out set up? Also, where would you like to position yourself? Will you move about your booth so you can mingle with customers, or perhaps you will set up a “station” for them to come to when paying. These are all important to think about when setting up. Once you have the traffic flow and cash desk established, you are ready to have some fun filling it with your items. Be creative and stage items like you would have them in your home. This gives shoppers a great visual as to how an item can be used. Making sure treasures can be reached by shoppers and are displayed in a way that they don’t hesitate to pick it up, feel it and look at it more closely. When you are setting up your booth, take time to step back and have a look at it from a distance…the way a shopper will see it. As items sell, don’t be afraid to start rearranging! Often changing the location of an item helps someone notice it from a different angle. One last tip…be friendly and engaging with your customers! A smile is always welcoming! The Alberta Dames Vintage Shindig: To have a successful booth set up, you need to excite and inspire the consumer. You want people to be drawn to your booth from across the room. Here is what we LOVE: Color, you have got to have color! A clearly stated Business Name, you want people to remember your name. Lots of depth and layering, you can’t see how great an item is from it just lying on a table! And finally we can’t stress enough….Let your passion show! Vintage with Flair: Follow a theme, plan out your space, use a threaded color pallet, and functionality for customers. Don’t overfill your space with all the same style product, use a variety of heights and textures, use the height of your space to your advantage, and, have some great eye candy. Remember the little details including signage, business cards, lighting, and your own persona, have fun!!! Vendors often have a lot of pieces to set up at Vintage Markets; any tips for efficiently transporting them? Deja Vu Vintage Market: Moving blankets, Rubbermaids, cargo straps and lots of newspaper to pack fragiles. Invest in a furniture dollie and reduce the number of trips you make. Shrink wrapping large items also helps prevent damage during transportation. Driving very carefully helps a lot too! The Olde Farmhouse Vintage Market: My husband always says to me…”I didn’t know we were in the moving business”! Setting up for markets is a lot like moving your home from place to place, so pack wisely! I like to pack smaller items inside larger pieces, but always remember to test how heavy it becomes! Sturdy storage containers that stack easily help when transporting in your vehicle. If you don’t have a vehicle large enough to move everything in one trip, perhaps think about renting or borrowing one. The less trips you have the make the better…more time to set it all up!! 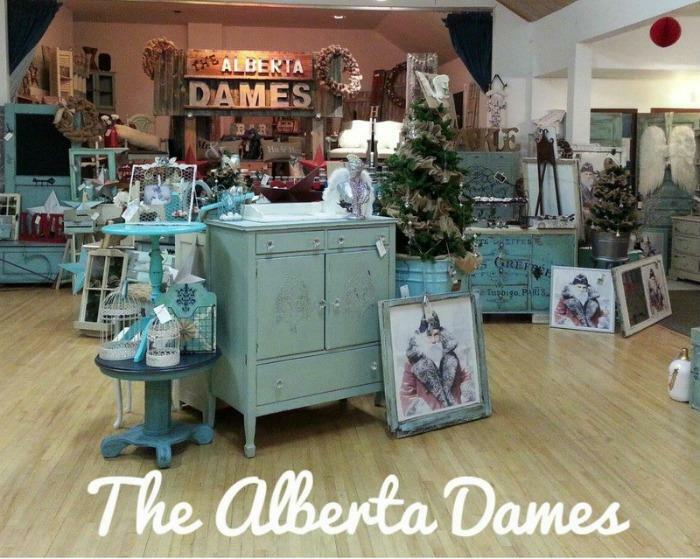 The Alberta Dames Vintage Shindig: A semi-truck! Lots of blankets, towels, husbands sweatshirts and bubble wrap to protect your pieces. Honestly, you wouldn’t want to put in all that work to have your piece ruined in transport. Vintage with Flair: This is always a challenge. Use your display pieces, ie crates, suitcases for transporting smalls. Building a repotiore of backdrops, ie. folding screens, fabrics, to collapsible displays. Practice and plan out space requirements prior to sale time to determine transportation space available or needed. 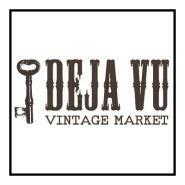 Deja Vu Vintage Market: Yard sales, flea markets, craigslist, thrift stores…all are good sources for inventory. There’s also a lot of luck and hard work involved. Some shopping trips yield nothing and others have you leaving stuff behind as your truck is full! 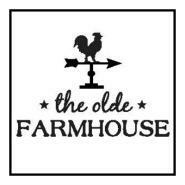 The Olde Farmhouse Vintage Market: I think some of the best finds come from friends and family. Once people find out what you are doing, you will often receive phone calls and emails asking if you want an item that they need to get rid of. Looking on the internet for upcoming garage sales, estate sales or auctions is a great way to find pieces. Whenever I travel anywhere, I always look on the internet for shops or sales in that area. New places are always fun to explore!! 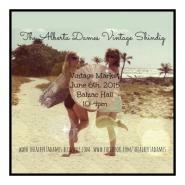 The Alberta Dames Vintage Shindig: We love supporting local. Hit all the thrift stores, Antique Malls, and neighborhood garage sales. On the way stop by granny’s, aunties, and uncle Jimmy-Joe’s, they always have a stash. You can find vintage everywhere! Seek and you shall find! 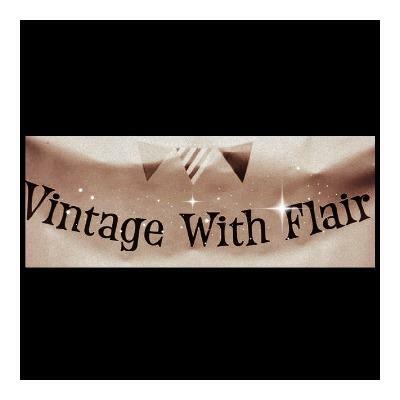 Vintage with Flair: Once a theme is determined, the hunt is on. Following a theme helps in not overy buying unneccessary items and finding them can range from local thrift shops, other vendor sales, antique shows, online sites, while travelling abroad, and local garage and estate sales. If you’re looking for some more tips when it comes to running your small business or making the big bucks at markets, sign up for our Seller Newsletter or check out our e-book MAKE MORE MONEY AT CRAFT FAIRS (you can download a sample chapter on this page). Or join my FREE 5 DAY CHALLENGE! I’ll walk you through all the details you should be thinking about when it comes to creating a display that sells. How Much Promotion Do Craft Show Organizers Expect?